In Android, LinearLayout is a common layout. LinearLayout arranges its children in a single direction either vertical or horizontal. In this example you will learn to create android application using LinearLayout. Following is the XML file of vertical LinearLayout. 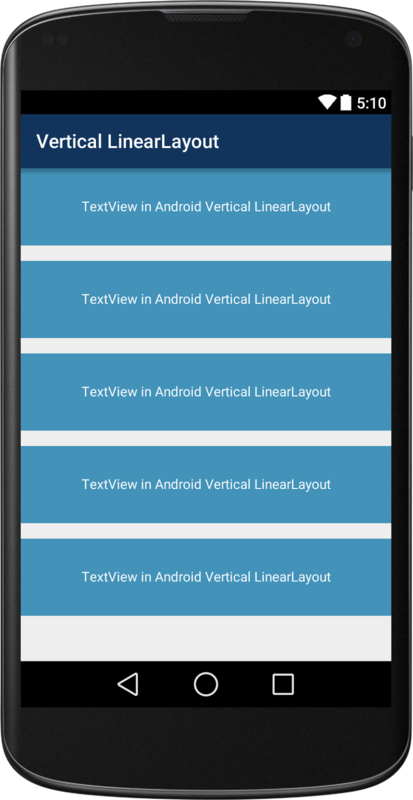 Now, run your vertical linear layout android application which looks like this. Following is the XML file of horizontal LinearLayout. 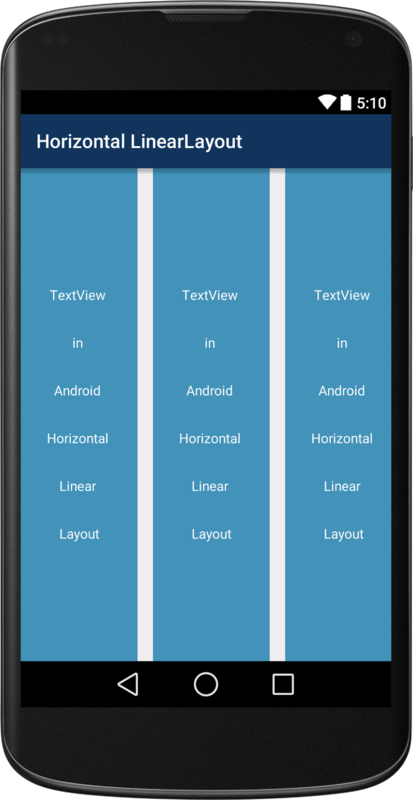 Now, run your horizontal linear layout android application which looks like this.